Restraint of Trade: what does it mean? The majority of employment contracts contain a restraint of trade clause. Many people merely consider it a standard clause but it can have serious implications for future employment. 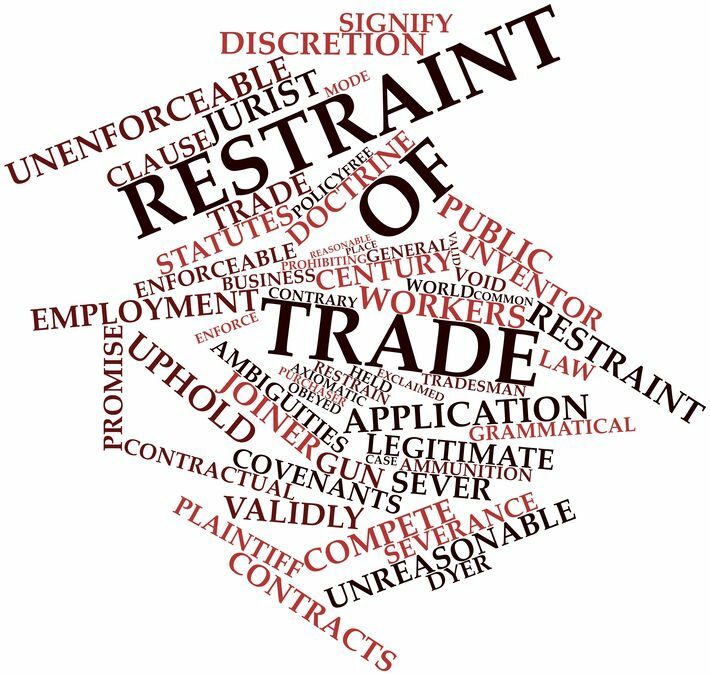 What is a restraint of trade clause? A restraint of trade clause limits the ability of an employee to accept future employment which could be to the detriment of their current employer – usually because it is a competitor and the employee has access to confidential information. When is restraint of trade unenforceable? There are instances in which restraint of trade agreements are unenforceable. This is usually where it is proven that the contract was not understood by the employee or the application of the restraint of trade agreement is too broad. The court stated in Reddy v Siemens  SCA 164 that “the substantive law as laid down in Magna Alloys is that a restraint is enforceable unless it is shown to be unreasonable, which necessarily casts an onus on the person who seeks to escape it.” In determining the reasonableness the court considers public interest, which expects parties to comply with their contractual obligations, balanced against the interests of society allowing people to trade freely and be employed in the profession of their choice. In that particular case, Reddy v Siemens, the court found that the restraint of trade agreement only prevented the employee from taking up employment at a competitor of Siemens – it did not prevent the employee from being employed, it merely limited the specific employer. The court also found that the employee had access to confidential information of the employer (Siemens) and whilst it is sufficient that he has the ability to disclose this confidential information, it is not required that he actually disclose this information. Accordingly the restraint of trade agreement was found to be valid and enforceable. Does the one party have an interest that deserves protection at the termination of the employment? If so, is that interest threatened/prejudiced by the other party? Does such interest weigh qualitatively and quantitatively against the interest of the other party not to be economically inactive and unproductive? Is there an aspect of public policy having nothing to do with the relationship between the parties, which requires that the restraint be maintained or rejected? Thus, where the interest of the party sought to be restrained outweighs the interest to be protected, the restraint is “unreasonable and consequently unenforceable” (Hi-Tech Recruitment (Pty) Limited and Others v Nel and Another  ZALCJHB 250). Accordingly, an employer must have a protectable interest and the threat of that interest being prejudiced must outweigh the employee’s right to be economically active. How is a restraint of trade agreement enforced? The means by which to enforce a restraint of trade agreement is an interdict. If a final interdict is sought, three things need to be established: “there must be a clear right, secondly an injury actually committed or reasonably apprehended, and lastly, the absence of any other satisfactory remedy” (Hi-Tech Recruitment (Pty) Limited and Others v Nel and Another). Where an employee has access to confidential information and the ability to divulge that information, the first two requirements are met. Whether an alternative remedy is available considers the reasonableness of the restraint of trade agreement and the weighing up of the competing interests. When is a restraint of trade unreasonable? Accordingly, employers should ensure to draft restraint of trade agreements narrowly and only to the extent necessary to protect their protectable interests. Similarly, employees should ensure they understand the extent and content of the restraint of trade agreement they enter into, as the onus is on the employee to prove its unreasonableness and thus its unenforceability. If you are an employer needing to draft your employment agreements and assess your restraint of trade clause, or if you are an employee needing to sign such documents, speak to an experienced Labour Law attorney first. Our Labour and Employment Law team are knowledgeable and experienced and can advise you on the best course of action. The articles on these web pages are provided for general information purposes only. Whilst care has been taken to ensure accuracy, the content provided is not intended to stand alone as legal advice. Always consult a suitably qualified attorney on any specific legal problem or matter. Your social media platforms – what happens when you die?